A perfect storm of money and support resulted in the purchase of beloved state parks. Aldo Leopold penned that as the opening line of his classic, A Sand County Almanac. By “wild things,” he meant all of them — prairie flowers, free-ranging wildlife, stands of grass, streams, lakes and forests, and geese passing overhead. Leopold’s statement presumed there would be wild places for people to enjoy those wild things. He could not live without them. Neither can we. That’s why parks are so precious. Today, most Texans live an easy drive from one of many state parks, natural areas and historic sites. Generations of family vacations have worn smooth the paths at iconic landmarks like Seminole Canyon and Colorado Bend, where tots discover their first tadpole and return with their children decades later. But, before 1963, these two parks and dozens of others were privately owned parcels of land that weren’t available for public enjoyment. How a piece of Texas land becomes a state park is a lengthy and complicated process that requires a willing seller, a location worthy of state preservation and available funds. Politics intertwines throughout, but determined conservationists have found ways to achieve their ends, much to our benefit. From 1963 to 1988, these elements were aligned through the efforts of dedicated individuals. As a result, the number of state parks in Texas more than doubled in 25 years, with an almost tenfold increase in acreage. That perfect storm of enthusiastic players and available money could one day be looked back on as a golden age of park acquisition. When the State Parks Board was established in 1923, Texas had little available land for parks. It was a wasteland compared to the resources available to the National Park Service. 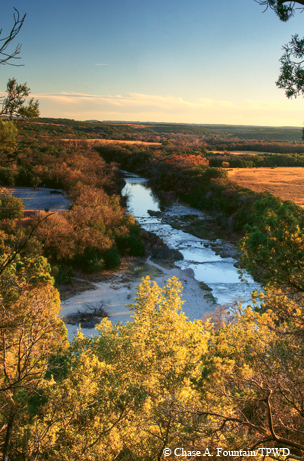 The first decade of state park operations was conducted on lands donated by generous Texans. The Fannin Battleground was donated in 1913, and Gov. Pat Neff’s mother deeded six acres to the state in 1916 for what would become Mother Neff State Park. That was the beginning of the state parks system. By 1927, 24 other park sites had been donated, totaling 1,858 acres. That amounted to a mere 0.001 percent of Texas’ nearly 168 million land acres. Today, 35 state parks and natural areas each have more acreage than all the state parks in 1927 — places like Chinati Mountains (37,885 acres), Seminole Canyon (2,172 acres), Big Bend Ranch (309,202 acres) and Colorado Bend (5,315 acres). Total combined acreage in the state parks system is now 603,748 acres. The first state park purchased outright was Goose Island, in 1931. It could have just as easily been called “The Big Tree Park,” since the state’s most famous and most photographed live oak has spread its majestic limbs there for more than a thousand years. Palo Duro and Long­horn Cavern were purchased in 1933. A federal assistance program was created during the Depression to provide funds and labor to develop parks, with work in 29 parks performed by the Civilian Conservation Corps. Workers built the Indian Lodge at Davis Mountains under this authority, as well as the cabins at Bastrop State Park, among other improvements. Help was on its way, but it took a roundabout route. By 1958, the State Parks Board managed a total of 61,838 acres. However, the park system was stagnant, without a dependable source of funds to maintain parks or increase the number of parks to meet the demand of a growing, mobile and more urban population. To address these needs, Texas Tech University was contracted to study the needs of state parks and develop recommendations, primarily because no other Texas college offered a parks degree. Two men who conducted the study were Mark Gosdin and Paul Schlimper (both later worked on park acquisitions at TPWD). Gov. John Connally used the Tech study in his legislative recommendations, and the State Parks Board was merged with the Texas Game and Fish Commission to form the Texas Parks and Wildlife Department in 1963. The Tech study and deteriorating park system provided plenty of justification for the merger, but there were suggestions of another, more political consideration. Published accounts and a buzz around the Capitol noted agitation over a game warden not being fired for disrespectful comments about a man he ticketed for shooting too many doves. The game warden had been disciplined for his remark (rumored to insult the man’s ears and ancestry), but the Game and Fish Commission executive director refused to fire him. The subject of the remarks was none other than Vice President Lyndon Johnson, a close friend of Connally’s. A new commission for the combined agency was appointed by the governor, but the veteran executive director of the Game and Fish Commission was not appointed executive director. The federal Land and Water Con­servation Act was enacted in 1964, providing funding to state and local communities for planning, acquisition and development of recreational facilities. That led to TPWD’s development of the mandated Texas Outdoor Recreation Plan. 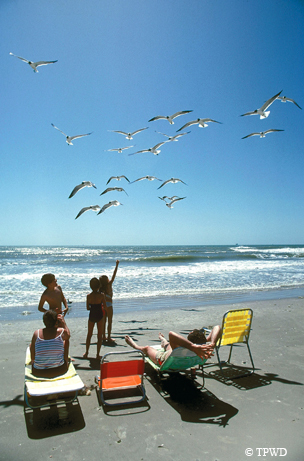 The act required matching funds, so the Legislature authorized up to $75 million in state park bonds in 1967. That was a huge step. In the 25 years after the merger of the two agencies, Texas acquired 63 parks, compared with the 47 that were acquired in the decades before 1963. Before the bonds, money had been tight. Johnny Buck was hired as head of park operations in 1962 and visited every park to evaluate needs. The bond money, though, changed the script. The bond indebtedness was to be paid out of park entrance fees. At only $1 per car, that didn’t generate funds quickly enough to meet the needs of a rapidly growing state. To combat the shortfall, TPWD began working with Sen. Don Kennard, an outdoor and history enthusiast, to establish the Texas Park Fund. Their work led to a penny-a-pack tax on cigarette sales. The tax garnered $16 million annually and gave the parks system a stable funding source with which to acquire new parks. In addition to new funding sources, public and political attitudes about purchasing parkland improved. “Parks were beginning to be seen as a way to conservation, in the larger sense,” says David Riskind of TPWD’s State Parks Division. Riskind says the Legislative Budget Board recommended that larger tracts be acquired and requested that these parks have unique features. Park acquisition became a popular issue as concern about the environment grew and as hunters, anglers and outdoor recreationists realized they had common interests. This broad support had apparently awakened the inner conservationist within policy-makers and the public. It looked like smooth sailing. Parks were being acquired as never before. With new funding and a receptive attitude, impediments to park acquisition dissipated like mist in the morning sun. TPWD acquired Dinosaur Valley and Fort Richardson one year; the next year it was Estero Llano Grande, Galveston Island, Hueco Tanks and Lake Somerville. 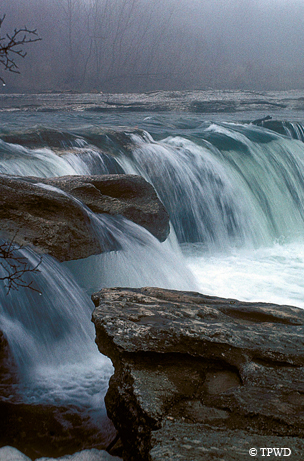 Five parks, including Pedernales Falls and Copper Breaks, followed the year after that. But park acquisition needed a finer focus. Planning was required. Mike Herring, a forest recreation specialist, was hired by Buck to work in park operations. After a department reorganization, he worked under Mark Gosdin on the State Park System Plan, alongside Rom Welborn, who did site evaluation. John Ruben and Karen Leslie later joined the staff. With Herring in the lead, the Policy for Administration of the Texas State Parks System was developed, setting goals and redefining the park classification system. Herring subsequently designed the Five-Year Acquisition and Development Program to meet the policy goals, a fluid plan re-evaluated every year to react to changing possibilities. “All of this was to get a system of state parks that represented the diversity of outdoor resources,” Riskind explains. The plan included recreational parks, historic sites and natural areas needing stewardship. Herring also was instrumental in developing scoring systems for evaluating potential park acquisitions. That provided a measurable method of site evaluation. It worked well unless subverted by political pressure. The public’s voice also thwarted or delayed acquisitions. J. David Bamberger owned a 505-acre tract with a mile of Guadalupe River bank. He offered to sell it to TPWD for a price to be set by TPWD. There was not a park on the Guadalupe at that time. Some local landowners objected, saying that it would “bring in hippies” and other undesirables. “I could have sold it for three or four times more [money],” Bamberger says, “and was tired of being put off.” So a deal was struck, and that property is now Guadalupe River State Park. After leaving the Senate, Kennard took a position at the LBJ School of Public Affairs and began a series of research projects titled Natural Area Surveys. Herring furnished lists of potential tracts to study and met with Kennard annually. Kennard’s team of biologists, geologists and archaeologists obtained valuable data for natural area acquisitions into the future. Herring, no cubicle coconut, spent countless hours doing aerial surveys of potential acquisitions and much more time on foot, hiking the various tracts. His boots stayed muddy. Outstanding examples of the results of these studies were the acquisition of Devils River, Kickapoo Cavern and Big Bend Ranch. Two TPWD executive directors played key roles in park acquisition and development during this era — Dickey Travis and Andrew Sansom. Among Sansom’s many herculean efforts on behalf of parks was the acquisition of Big Bend Ranch State Park. This and other park acquisitions were part of a long, tedious process. In the early 1970s, Bob Armstrong, then Texas General Land Office commissioner, drove through the night to the Anderson Ranch in West Texas to hunt mule deer. He arrived at dawn to see the landscape covered with snow and remarked that it would make a premier state park. He told the landowner that if he ever decided to sell, he should consider the state first. “Seventeen years later,” Armstrong told me, “we finally bought it.” After his tenure as head of the GLO, he served on the Parks and Wildlife Commission and made the motion to buy the ranch that became Big Bend Ranch State Park. The acquisitions made during this golden age set aside land for parks that could have easily been lost to the people of Texas forever. Thanks to the efforts of a dedicated group of Texan conservationists, they weren’t. A structure or site that is prominently identified with or that best represents some important aspect of the cultural, political, economic, military or social history of the nation or state. (Many have been transferred to the Texas Historical Commission.) Example: Washington-on-the-Brazos State Historic Site. An area established for the protection and stewardship of outstanding natural attributes of statewide significance that may be used for scientific research, education, aesthetic enjoyment and appropriate public use not detrimental to the primary use. 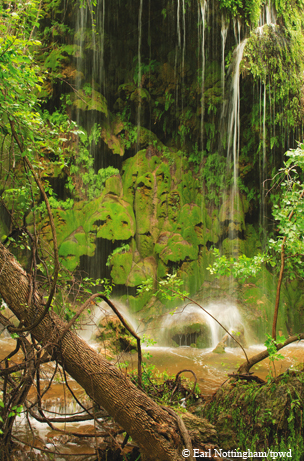 Example: Devils River State Natural Area. An area of natural or scenic character, often containing historical, archaeological, ecological or geographical values selectively developed to provide resource-oriented recreational opportunities. Example: Garner State Park.